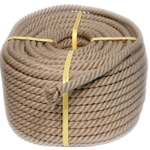 Jute is used to develop wrapping fabrics and construction fabric for manufacturing industry. Sacks made from jute are used in the transportation of varied range of goods such as fertilizers, vegetables, sugar, and more. Jute is used as a textile fiber applied with composite and non-woven technology to develop technical and non-woven textile. Jute is also used to design and develop a comprehensive range of fabrics like sacking, hessian cloth, scrim, carpets backing cloth, home furnishing, wall-coverings, upholstery, and more. A range of diversified jute products are in a great demand in the market such as espadrilles, home textiles, technical textile, floor coverings, composites, and more. Jute is slowly but massively capturing the fashion industry as well due to which a vast array of fashionable garments and accessories are made from it such as Jute Footwear, Jute Sarees, Jute Jackets, Jute Jewelry, etc. 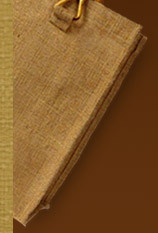 Although, jute finds extensive application in the market, its demand is consistently dragging down. To initiate its demand in the market, government should encourage consumer awareness about the quality of the jute products. Moreover, government should promote research work to enhance the application capability of the jute. G+.